A year made all the difference for Mumford High’s Francis Umejiego. In a rematch of last year’s finals, the Mustangs’ junior defeated Cass Tech junior Jeneral Huckleby 6-2, 6-1 to win the Detroit Public School League boys’ tennis No. 1 singles title Monday at Barcus Tennis Center. Umejiego was shut out 6-0, 6-0 by Huckleby as sophomores, but he managed to dictate Monday’s match by repeatedly returning Huckleby’s smashing serves and keeping the ball in play with lobs that won volleys. That setback didn’t stop Cass Tech from winning its second consecutive PSL boys’ tennis championship. 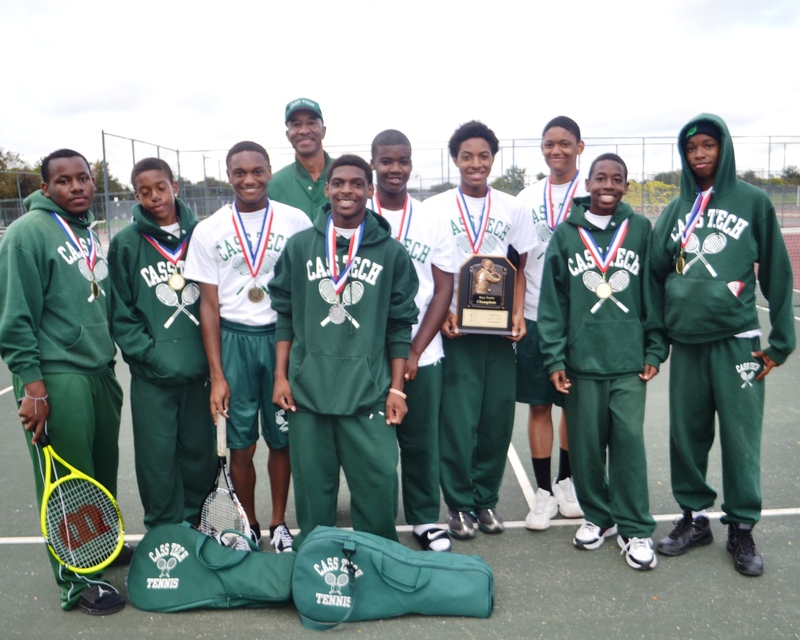 Coach Clarence Wynn’s Technicians, with a team of predominantly freshmen and sophomores, won two of the four singles finals and three of the four doubles titles to finish with 19 points. Western was second with 16 points followed by third-place King (7). Renaissance and CMA had 6 points each, Ford (5), Mumford, Osborn and Cody (3 each), Denby and Northwestern ( 2 each) and Central (1). 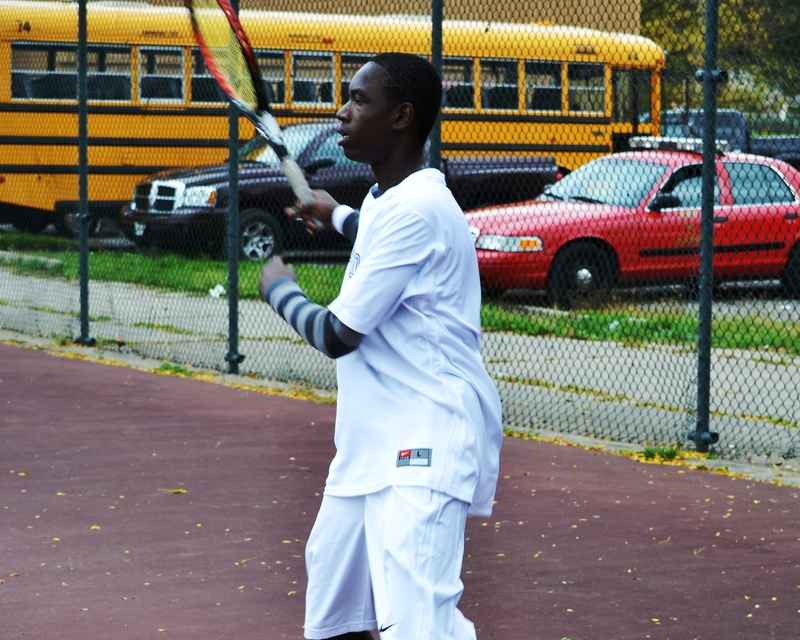 In singles matches, Cass Tech freshman Kyrie Bostic defeated Western junior Antonio Gallegos 6-2, 6-4 at No. 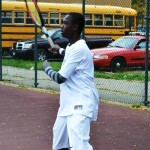 2; Cass Tech freshman Isreal Collins defeated Western senior Jose Vera 6-4, 6-2 at No. 3; and King senior Samuel Taylor defeated Western senior Bryan Media 6-3, 6-2. In doubles matches, Cass Tech sophomores Jalen Vaughn and Eric Miller defeated Western seniors Lawrence Harris and Antonio Tinoco 6-2, 6-1 at No. 1; Cass Tech sophomores Jordan Gregory and Braxton Dockery defeated Western seniors Jose Vazquez and Genaro Murillo 6-1, 6-3 at No. 2; Cass Tech junior David Patwin and freshman Xavier Passmore defeated Western seniors Carlos Gonzalez and Kyron Strickland 6-3, 6-3 at No. 3; and Western seniors Jose Guzman and Rafael Gonzalez defeated King’s Obafemi Kheper and Jovan Brown 6-1, 6-0 at No. 4. This entry was posted in Boys, News and Press Releases, Sports and tagged 510.